Cooler weather and fireplaces go together magnificently. Just imagine being able to bask in the warm glow of a fireplace while the snow falls outside. While this thought may seem appealing, there are a few logistics to consider. Where should you install a fireplace? What are your options? Here are a few answers to these important questions. A traditional wood burning fireplace with a hearth and mantel is the most expensive type of fireplace to install. Proper installation requires a chimney that extends three feet above the highest point of the house and is protected from the elements. A chimney that goes straight up from the fireplace creates the best draft and the least buildup of creosote. Although a wood burning fireplace can be installed in a basement, it is usually not the best location. Fireplaces requires quite a bit of space, a supply of wood, a tall chimney, and an ample amount of fresh air in the room at all times. If natural gas or propane is already piped to your home, take a look at direct vent fireplaces. These fireplaces vent through the wall and require no chimney. They use a special vent pipe that consists of an outer pipe and an inner pipe all in one unit. The outer pipe draws fresh outdoor air into the firebox for combustion. The inner pipe carries off spent air. No room air is used, and no fumes enter the room. 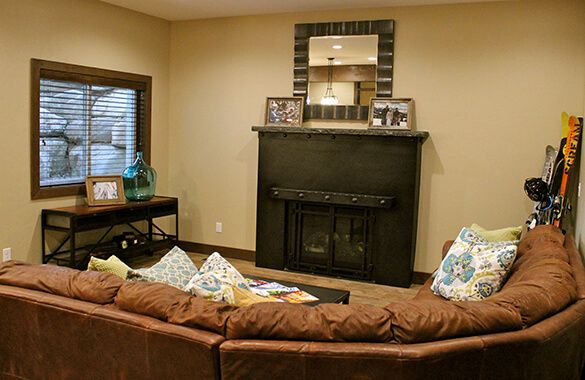 This type of fireplace normally costs less than a traditional fireplace and is ideal for your basement. If your basement is fully underground, the fireplace can be vented through your home’s first floor joist box. If you have a daylight basement, you might instead vent the fireplace through one of the basement walls that is above ground. 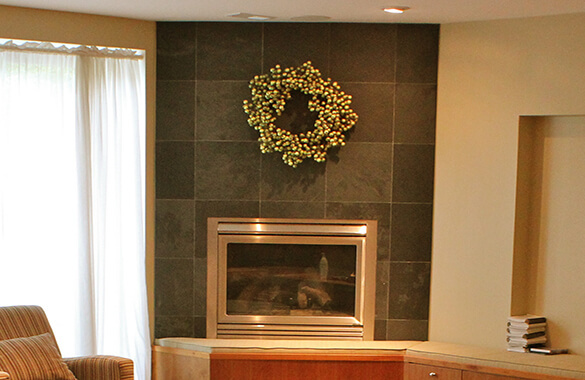 An electric fireplace can be installed almost anywhere there is a 110-volt outlet. No venting is needed. Such fireplaces require little maintenance and can be adjusted to provide whatever amount of heat you prefer. Prices vary greatly according to style and design. Because fireplace heat radiates in an even pattern outward and upward, you can get warm quickly by standing close to the fireplace. Just be careful not to stand so close that the heat ignites or melts your clothing. The appearance of flickering flames in a fireplace makes a room feel warm and cozy. Your fireplace can easily become the main focal point of the room, depending on where you install it and what decor you use to surround it. A fireplace that has been professionally installed and is well maintained adds value to your home. As with anything that creates heat, there are a few precautions that you will want to observe. Locate your fireplace where it will be out of the way of regular activities. This reduces the likelihood of children or other family members getting burned. Keep adequate open space in front and to the sides of the fireplace to prevent household objects from catching fire. Install a hearth to protect the floor, and carefully follow instructions as to wall protection. Install carbon monoxide detectors as well as smoke alarms in all living and sleeping areas. Learn what maintenance is required, and follow the maintenance schedule faithfully. For example, if you install a wood burning fireplace, the chimney needs annual maintenance to prevent a dangerous buildup of creosote. 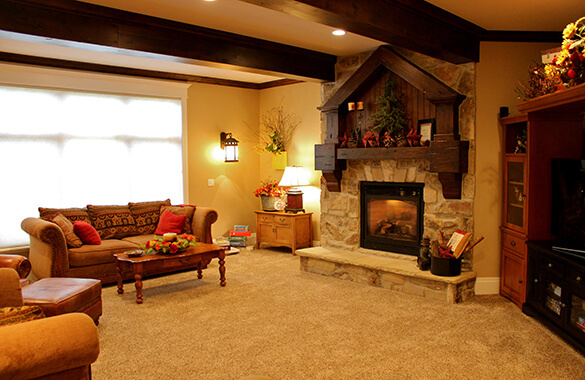 In considering whether to install a fireplace, think about the layout of your home. Talk with your family about what type of fireplace they would like as well as the location they would most prefer. Check your local codes, and visit with companies that sell fireplaces as well as with installers. Think about energy sources and costs to determine what source of energy is best. Once you have all the facts, you will know what is right for you and your family.